Not currently stocked. Instead, we recommend the FTDI Friend. This FTDI model TTL-232R-5V converter cable can be used to program many Arduino-compatible kits (including our own Bulbdial Clock, Peggy 2, Peggy 2LE, Meggy Jr RGB, and Diavolino) through the Arduino programming environment. One end of the cable fits into the USB port on your computer, and the other end goes to your project. Not just a cable, this is actually "smart" converter that contains a USB interface chip within the cable itself. It provides proper logic-level (TTL compatible) output for connecting a microcontroller directly to USB on the other end of the cable. 1.8 meter (6 foot), terminating in a 6-way 0.1" female header socket. Compatible with Mac, Windows and Linux. Depending on your application, you may need to download the VCP driver ("virtual com port" driver) from FTDI. 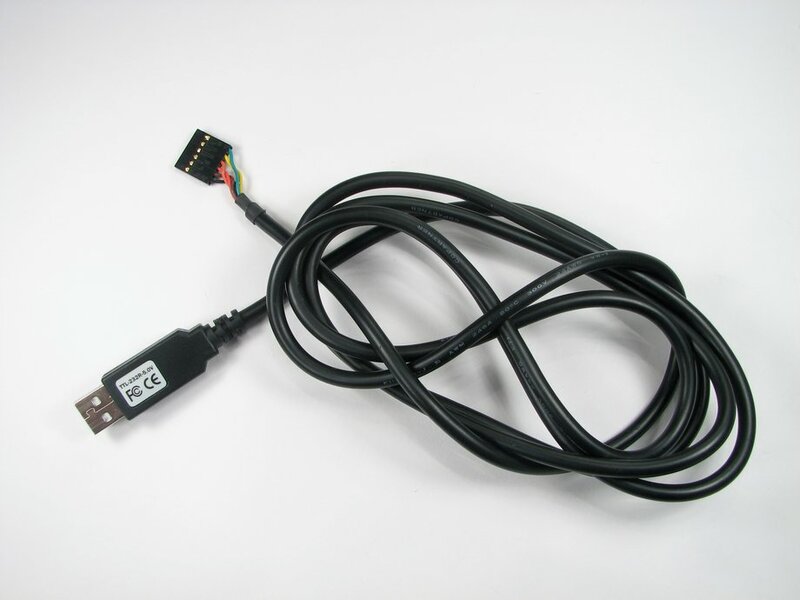 You may also be interested in the FTDI Friend, which offers much of the same functionality as this USB-TTL cable.